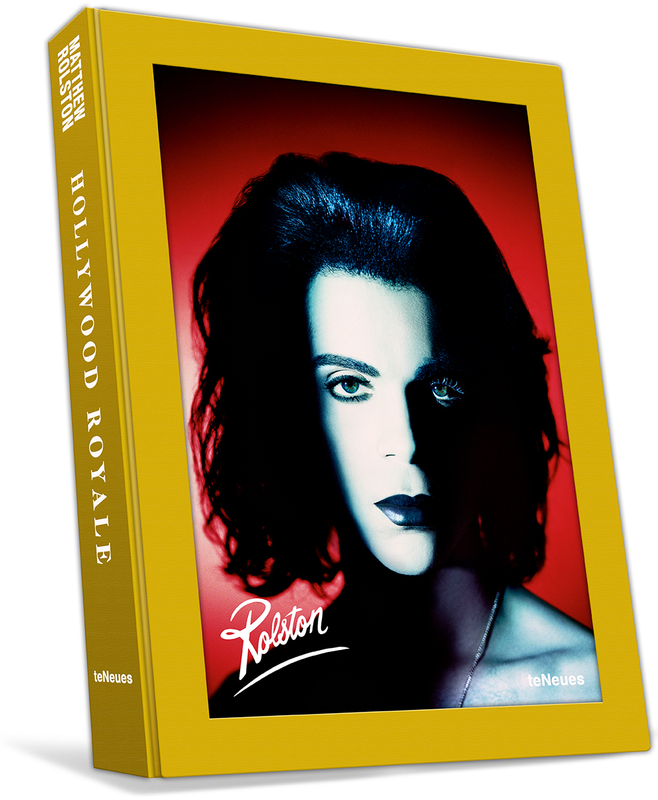 The cover of Hollywood Royale features Matthew Rolston’s Prince, Portrait in Psychedelic Colors, Los Angeles, 1988. 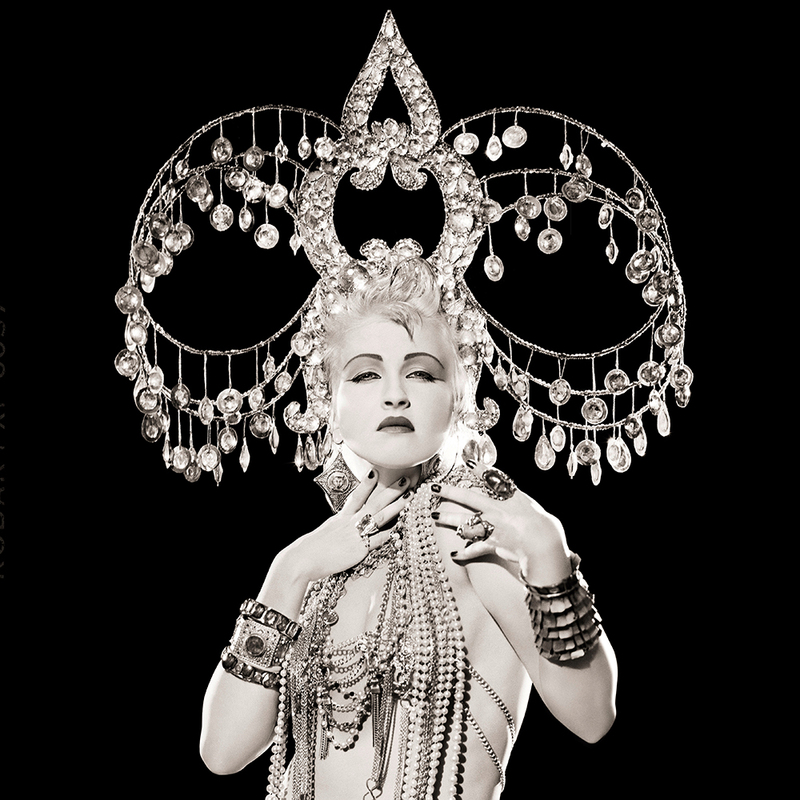 Cyndi Lauper, Headdress, Los Angeles, 1986, by Matthew Rolston. 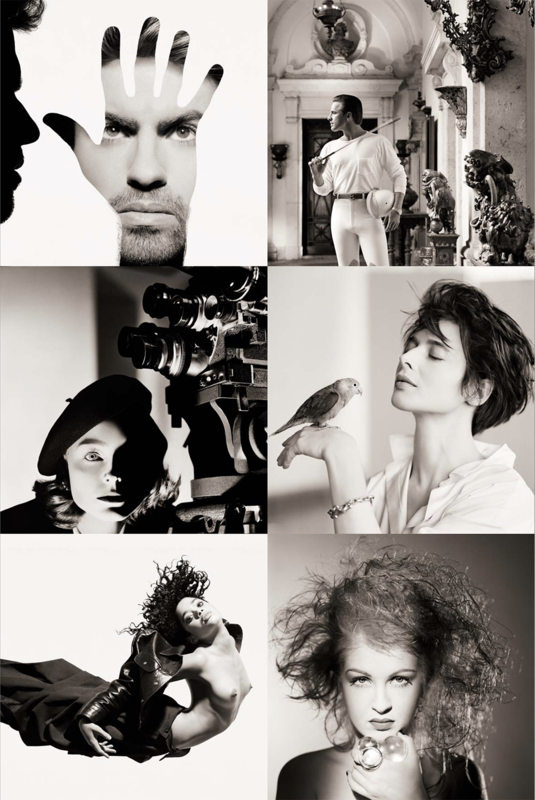 Details of six of Rolston’s portraits from Hollywood Royale (left to right, top to bottom): George Michael, Hand, London, 1986; Don Johnson, Polo Clothes, Miami, 1986; Jodie Foster, Director II, Los Angeles, 1991; Isabella Rossellini, Bird, New York, 1988; Lisa Bonet, Floating, Los Angeles, 1987; Cyndi Lauper, Crystals, New York, 1986. Ultimately, though, Hollywood Royale is as much a history of Hollywood glamor as it is a compendium of Rolston’s work. The unforgettable style of Hollywood’s golden age in the Thirties and Forties had, by the early Seventies, become debased, only to be revived late in that decade and into the Eighties by Warhol, Helmut Newton, and Hurrell himself, who each put his own unmistakable stamp on the photographic art of seduction. Hollywood Royale looks at how that revival influenced the next generation of photographers, Rolston among them. 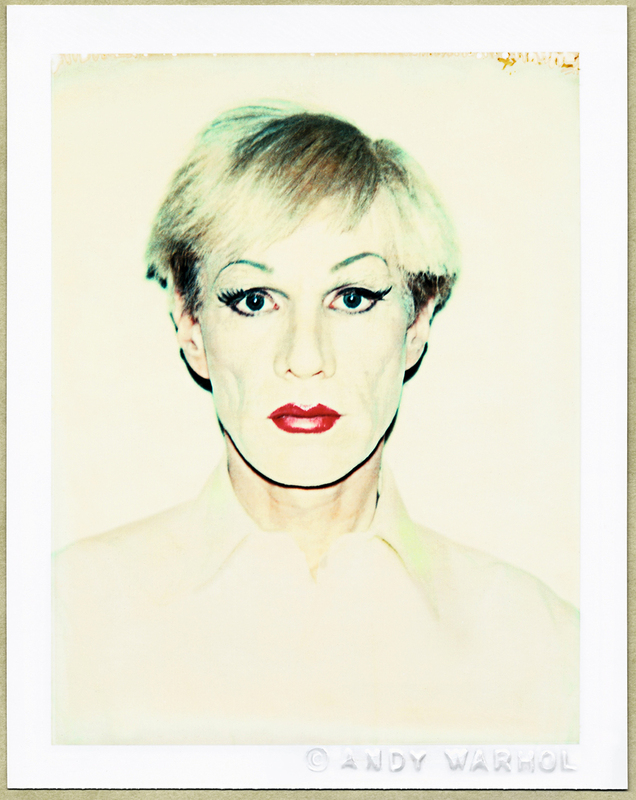 Andy Warhol, Self-Portrait in Drag, 1981. © 2017 The Andy Warhol Foundation for the Visual Arts, Inc. “There were always two sides to the Andy coin: Heads, he loved things that were really Real; Tails, things that were really Fake. ‘Glamour’ is completely fake. It’s the promise of everything you can never really have because it doesn’t really exist. But a glamorous photograph or film can make you believe that it does,” writes longtime Warhol collaborator Pat Hackett in her essay for Hollywood Royale. Hollywood Royale features more than 100 photographs and was edited by Los Angeles gallerist David Fahey. The images span a host of photographic techniques, from classic 8×10 camera portraits to more stylized experiments in cross-processing, multiple exposure, and high-contrast color. The book also includes essays by Colin Westerbeck, noted photographic curator and expert on American photographer Irving Penn; and Charles Churchward, longtime creative director of both Vogue and Vanity Fair magazines and author of The Golden Hour, a definitive biography of photographer Herb Ritts. Hollywood Royale is available at amazon.com. Purchase your copy here. This entry was written by kfeliciano and posted on 10/11/2017 at 12:15 pm and filed under news & commentary, video with tags Hollywood Royale, Matthew Rolston. Bookmark the permalink. Follow any comments here with the RSS feed for this post. Post a comment or leave a trackback: Trackback URL.